Now you can have what you want out of life by following our plan. A list of clear written goals is something that very few people have. And yet, few of us would leave on a trip without knowing where we were going, and how we’d get there. In this section, I’ve created a goals worksheet to help you get started. In addition, I have given you great information on how to be successful at setting and achieving goals. Finally, there are the “70 Tips to Help You Be Persistent, Keep on Going, and Never Give Up on Your Goals and Dreams”. I truly hope you’ll utilize this section to create and enjoy the life you deserve. Setting goals for yourself is like having a roadmap or GPS. They will keep you on course, save wasted time and get you to your destination. Without them, it’s like just driving around and hoping some day you’ll wind up in San Francisco. By the time we reach middle age, we sometimes have lost sight of concepts like goal-setting. Many middle-aged men and women are just running on autopilot, driven by the circumstances of everyday life. I challenge and encourage you to take this opportunity to renew your life through this Website, including by setting and achieving goals, as covered in this section. Goals are something that we’re all aware of. And yet few of us actually have a solid goals list that we are working towards achieving. In the book, What They Don’t Teach You in the Harvard Business School, Mark McCormack tells about a study conducted on students in the 1979 Harvard MBA program. In that year, the students were asked “Have you set clear, written goals for your future and made plans to accomplish them?” Only three percent of the graduates had written goals and plans; 13 percent had goals, but they were not in writing; and a whopping 84 percent had no specific goals at all. There are a lot of reasons people don’t set goals, but the main one is that they don’t realize the importance of goals. They just feel that they can do fine as they are because they are working towards things they want and thus feel that they already have “goals”. Other people don’t know how to set goals. Some set goals that are too general, which are really fantasies common to everyone. Goals, on the other hand, are clear, written down, specific, and measurable. Some avoid setting goals because they fear that if they don’t achieve the goals, they will feel like a failure. Others are afraid that if they tell their friends and family about their goals, and then don’t achieve them, then they will be criticized or even made fun of. Forget all that! Dream big! Set your goals and then go for them. It’s a good idea not to tell anyone about your goals who you don’t feel will be supportive of them 100%, and who will knock you down if you don’t achieve them. The exception, of course, would be if someone is part of your goals, maybe a workout partner or someone who will work on a business project with you. The below goals and action plans are only examples of what you might do. Of course, if one or more feels “right” the way they are, then you can use them to start with, but ideally you will have your own. You will notice that the action plans are for one week. In some cases, you may want to keep the same goal for more than one week, until it becomes a habit. The Happiness Goal example here could be one. Other than that, if you want to continue to have a better life, then you’ll want to keep upping your goals. For example, once you get used to working out with weights three times a week, you would maybe next start regular cardio workouts. My Fitness Goal: To work-out with weights two days a week. My Fitness Goal Action Plan for This Week: Check out gyms and join one with a month-to-month plan. My Nutrition Goal: To have a healthy diet and feel good about what I eat. My Nutrition Goal Action Plan for This Week: Stop eating out at work and bring healthy food to work instead. My Weightloss Goal Action Plan for This Week: Buy a digital food scale and start weighing my portions. My Happiness Goal: To be peaceful on my drive to work. 1) To take a few minutes in the car to relax before I start to work. 2) To put a note in my car that reads “I am not the cause of other drivers’ anger”, to look at it when I start to get upset, and to feel sorry for them that they are that way. My Morning Routine Goal: To start my day off feeling good. My Morning Routine Goal Action Plan: Read the “Morning Rituals” section of this Website and follow the plan. My Wealth Goal: To have enough money so I don’t have to worry about bills. My Wealth Goal Action Plan for This Week: Write out a budget of my income and expenses so I can know where my money is going. My Relationship Goal: To be able to share my worries with my wife/partner. My Relationship Goal Action Plan: Write a letter to my significant other and tell him/her that you have worries about life too, and you’d love to have his/her support. My Mental Fitness Goal: To devote one hour a week to mental fitness. My Mental Fitness Goal Action Plan: Do an Internet search for “brain training”, and you’ll find lots of programs offered. Look for some sites with free demos, and see how you like them. If you do, then go ahead and do some brain training. My Limiting Beliefs Goal: To eliminate my beliefs that are limiting myself. My Limiting Beliefs Goal Action Plan: Spend some quiet time and discover some beliefs I have that are limiting my happiness: I’ll always struggle for money; I’ll never be healthy; I’ll always be fat, I’ll always be lonely & alone. Write them down. The top five mistakes people make when setting goals. The following information has been written for educational purposes only. Every effort has been made to make it as complete and accurate as possible. However, there may be mistakes in typography or content. This material should be used as a guide – not as the ultimate source. The purpose of this information is to educate. The author and the publisher do not warrant that the information contained in this e-book is fully complete and they shall not be responsible for any errors or omissions. The author and publisher shall have neither liability nor responsibility to any person or entity with respect to any loss or damage caused or alleged to be caused directly or indirectly by this information. It’s definitely time for you to make a change for the better. Ultimately, you are the only one who CAN change it. You hold all the cards. Of course, life can always hand you a “trump” card now and then, but if you have strong, realistic goals, you can get over the results of that trump card and move onto a wonderful, fulfilled person. Having a life without goals is kind of like being a ball on a pinball machine. You give it a push and it bounces all over the place. It has highs and lows and big scores and small ones. It doesn’t do what it wants. It just bounces back from hitting other things. The other things seem to be in more control than the ball. When the ball does finally go through the bottom it doesn’t return. You don’t want to let your life be that way. You don’t want to just wander around letting other things push you around and into your grave. You need to fight back. You need to have good goals. 1. Setting goals helps you envision your future—Where will you be in five years? Where would you like to be? If you don’t know, how are you going to get there? You’re working and working, going through life every day, and struggling to work for what everyone else wants. Doing what your boss says, listening to your friends, moving on as quickly as you can to nowhere. Setting goals helps you verbalize what YOU want for a change. It gives you an opportunity to start working toward something that is going to make YOU happy. Do you actually like your job? You’d be surprised at the number of people who don’t, yet they continue to get up every day andgo to work just because it pays the bills. The question should be…If you don’t like it, what are you going to do to change it? If you do like it, what can you do to advance? Envision where you want to be, and then set a plan to get there. Look deep inside at the crystal ball within you and see exactly where you want to be and what you want to be doing. There’s nothing wrong with working to pay the bills. It’s something you should do. It’s a question of doing something you like that pays the bills that’s important. It doesn’t have to be something as big as a new job. Maybe you want to lose weight. Envision yourself 10 pounds lighter. Buy yourself something to wear that you absolutely love in a size smaller and put it where you can see it. Close your eyes and see yourself in it.If you are working to save money for a car, envision yourself driving it. What kind is it? What color? Can you actually smell that “new car” smell in it? What features does it have? Dream it and set your mind on achieving it. 2. Setting goals gives you motivation—When you’re hungry, you have incentive to fix yourself something to eat. Then, you get to enjoy the food. It’s simple, yet the basic principle for goal setting. Want something, do something about it, and reap the rewards. Whenever there’s a need in your life, there will be motivation to fill that need. Setting a goal toward something will help you see what life would be like if you got that goal. Therefore, it motivates you to move forward.We all have “down” times where we seem to falter in the motivation department. Thinking of the goals we want to achieve—the rewards—can give us the motivation we need to get through these times. Our desire to achieve our goal motivates us to work toward it. 3. Setting goals keeps your focus on what’s important—What things do you focus the most on in your life? Is it family, finances, or simply getting through the day? Wherever your focus is will be where you exert your time and energy. To focus on your work is, of course, important, but it shouldn’t be where your entire focus is.You need to be exerting some of your time and energy working toward things that make you happy. If you set goals, then you’ll know what is important to you, and be able to focus on them. In other words, you will be exerting your time and energy on yourself, and not others for a change. You may have a general idea of what you would like to do “someday.” This “someday,” however, may never come around if you don’t narrow your focus. Decide what you need to do and set the goals to get there. In baseball, if you want to hit a homerun, you have to keep your eyes on the ball. Watch the ball all the way to the plate. Watch it as you swing. Then, give it everything you’ve got. That’s what goals can do for you. They can help you keep your eyes on what’s important and hit that homerun…reaching your goal. Whatever sport you like, getting a goal of some kind is necessary to win.They focus on getting that goal through the whole game. Life is like that. If you have that goal to focus on, you’ll be able to reach your goal faster. After all, no one ever scored a touchdown by taking off running into the stands. That won’t get them a goal. If you get sidetracked in life, it can cause you to fail at things. Keeping your eyes on what’s important is imperative and setting a definite goal will help you do that. 4. Setting goals makes you accountable to yourself—When you set a goal for yourself, you determine whether or not you reach it. You tell yourself you’re going to do it, so you answer to yourself if you don’t. It’s up to you to make the action happen. Sure, there are outside forces that you can’t prevent that may interfere, but ultimately, you are accountable to yourself! Whatever goal you set, being accountable to yourself can motivate you. If you’re like most people I know and hate to let people down, the one person you should hate letting down the most is YOU. This can make a difference in you. Goals don’t have to be major, life-altering goals. Maybe you’ve always wanted to go on a cruise. That is your new goal. How do you get there? That’s the plan. Cut back one mocha latte—or any number of other things a day—and put the money aside. That’s your plan. Once you’ve saved the money to go, you’ll feel very good about yourself for reaching the goal. Not only that, you get the reward of actually going. If you don’t save it, however, you feel bad. You’ve let yourself down. Only you are accountable for your actions. Only you can change them. 5. 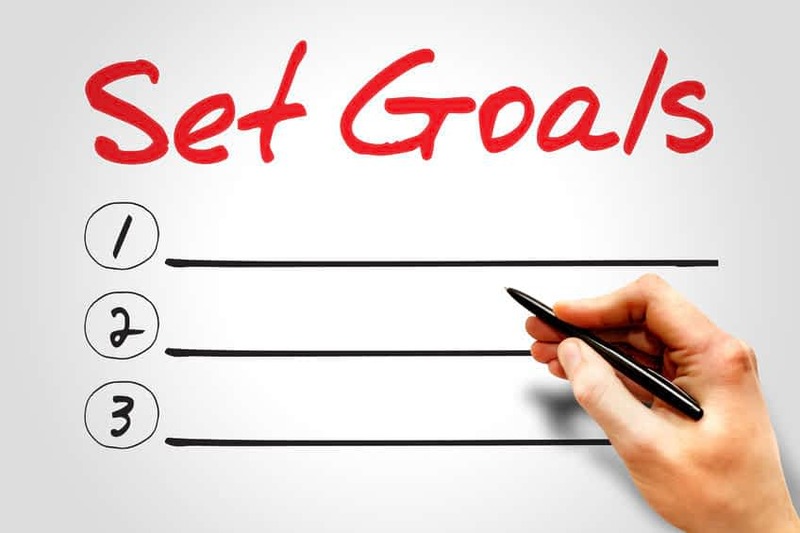 Setting goals helps youu to live life to the fullest—Having goals and reaching them helps you live a much happier life. Instead of dreaming, you can actually be doing it. You’ll be reaping the rewards of your goal setting, and feeling good about yourself. Setting goals and striving to reach them helps you maximize your life. You’ve heard the saying, “You can do it if you put your mind to it.” Just consider the fact that if you’ve dreamed it, you’ve set your mind on the goal. You know what it is. Now set your mind on what life would be like if you actually reached the goal. Once you’ve set your mind on that, don’t give up until you get it. Then you’ll be living life to the fullest.You’d be surprised, but reaching one goal is often all it takes to motivate you to set more. Once you see the benefit of having that goal in site and a plan to get there, it will make a difference in the way you look at goal setting. Reaping the rewards of a goal will be helping you to live life to the fullest and fill like a worthwhile person.If you don’t believe it, try it. Set a small goal and each it. You’ll feel good about yourself. It will improve some aspect of your life. Everyone wants to have a happy, fulfilled life. The way you get this is by living the life you want to be living. When you see how great it is to actually find a way to get that life, you’ll want to keep doing it.If you’re not used to setting goals, they can seem a little different at first. You may have a difficult time setting them and reaching them. Once you get used to it, however, you’ll wonder how you ever lived life without them. Fear: This can be the biggest roadblock of them all. Sometimes our goals just look too big to ever reach. They can be quite intimidating at times. When this happens, we would rather give up than fail. If a goal looks frightening to you and it seems like it’s just too difficult for you to ever achieve, don’t just toss it aside. One thing that helps is to break the goal down into small steps. Reaching each small step will eventually help us reach the overall goal. If you want to stop smoking, for example, you’ve probably tried many times and failed. Don’t just say, “I’m going to quit smoking.” Sure, that’s your ultimate goal, but instead of diving in head first, break that up into many small goals. First try, something like, “I’m only going to take one smoke break at work today” or “I’m only going to smoke X amount of cigarettes today.” After you reach that, you’ll feel good about yourself, and the goal might not look so scary. Then try something like, “I’m not going to take any smoke breaks at work today,” or “I’m only going to smoke X amount of cigarettes this week.” Before you know it, by reaching many smaller goals, that big bad goal you thought you’d never reach has been conquered. Comfort Zone What keeps you comfortable and safe can also be a roadblock. This is life the way we know it. Sometimes stepping out of that comfort zone can be difficult. That’s understandable, but the only way to know about what waits for you is to step out. Often, we become “content” where we are. We’re not happy, but we’re not miserable either. It’s easy to think, “What if I try it and fail?” “What if I make a change and I don’t like it, can I go back?” The worst thing you can say is, “Well, life isn’t TOO bad right now, so I better not rock the boat.” See what I mean. You get all comfy in your current life, and even though you want more for yourself, you settle for less than you can be. It keeps you from setting new goals and achieving them. No Inspiration It doesn’t seem like inspiration could be a roadblock, but it can be if you don’t have it. If your goals don’t inspire you, it can be difficult to reach them. Make your goals things that you really care about. The goal itself should inspire youto want to finish. If it doesn’t, it can end up in you giving up. Money Sometimes we want to reach a goal, but simply don’t have the money. If you don’t have it, don’t forget there are ways to get it. You may have to borrow, or you might have to save. If you want the goal bad enough, don’t let money keep you from it. In today’s world there are special programs for everything. Search until you find something that can help you meet your financial ability to reach your goal. For example, you don’t need money to get a college degree. There are grants, student loans, scholarships, and many federal programs that can help you pay for it. All you have to do is look. It’s the same with whatever goal you want. There are other roadblocks, but these are some of the most common. You need to get over the roadblocks you face if you want to have success and reach your goal. Think of track and field. They run the race at a steady pace with a goal in mind. There are hurdles they have to jump over. They work at it until they are able to get over those hurdles with ease and reach their ultimate goal…the finish line. Consider the finish line the success you’ll reap from reaching your goal. Now you know goals are important. You’re prepared to leap over those hurdles life throws in your path. You’re all excited, and you’re thinking of all the things you’d like to do with your life. You’re ready to start setting goals, but you’re wondering how to do it. How do you set goals you can achieve in your life? – Setting Daily Goals—Daily goals may be things from that time-tested “to do” list. When you first start setting goals, it’s good to think of one major thing you want to accomplish today. Sure, you’ll have several little things on that “to do” list, but these are just little tasks to complete. Goals are different. Think of one goal you want to do today that’s most important to you. If you reach that goal, it will feel like you’ve had a productive day. It may be to finish a project at work. It may be to avoid chocolate. It might be to run two miles instead of one. Whatever it is, make it your important goal for the day, and achieving it will help you feel successful. I know…life can get in the way sometimes. If you’re busy, you’ll have ringing phones, or any number of other distractions throughout the day. Just keep your eye on the prize. If you try to set too many goals, you can’t possibly reach them in a day, and you’ll feel bad about yourself for not doing reaching them. You’ll feel like you’ve had an unsuccessful, non-productive day. Day-to-day tasks may seem boring and totally not motivating. That’s life. If, however, you do those little things that will help you achieve something you’re excited about, they won’t seem as bad. Focus on that one thing. Make everything you do help you work toward that goal. Be sure to write these goals down. They can be in a notebook or a daily calendar, but it will help you keep track of them. If you try it the paper and pencil way, and it doesn’t work for you, don’t worry. There is goal-setting software that can help you. On these programs, you list your core values. Then based on these areas of your life, you create goals and tasks. When you write a goal, you have to list a task and a deadline. You can usually set up a few goals on these programs for free. If you want to do more, there’s a small yearly fee. Some will even send you a reminder to keep you focused. Many of them work with Google Calendar, and have iPhone or Android apps. These programs work well for those into technology. If you’re not, don’t worry. Just get a notebook or calendar and write them down though. It will make a big difference. Setting Weekly Goals Reaching weekly goals can take a little more discipline than daily ones. Ask yourself, “What do I want to achieve this week?” Your weekly goal may be one just for that week, or a step in reaching a long-term goal. Keep these goals either on a weekly calendar you write in, or an online calendar. Again, try to focus your tasks around that goal you’re excited about reaching. It is important that you review your weekly goals at the end of each week. When you reach your weekly goals, acknowledge it. Be proud of yourself. You’ll begin to feel more confident and successful by completing a few goals each week. You’ll probably begin to notice how much you’re accomplishing. No, you’re not working harder…you’re just working in a more focused manner. That’s what setting goals is all about. That’s the purpose of them. They’re there to give you a structure to your life that makes it become a better one. Setting Monthly Goals Life can surely sometimes drive you crazy. You can get so busy you don’t realize you haven’t taken any time for yourself. If you prepare monthly goals, you want to make sure you set aside time to not only reach the goals, but have time left over to enjoy your life. If you’re using a monthly written calendar, or a notebook, it’s important that you don’t neglect to check it each day to see your progress and keep up on what still needs to be done to reach the goals. If you don’t reach them, look back to see if maybe you tried to do too much. – Having the calendar handy at all times will allow you to keep your work and personal schedule available at a glance. If you have days you want to dedicate to yourself, simply block them off by highlighting them before you do your monthly schedule. Organize your other work and family goals around this time. This allows you to set your goals and the days you want to reach them on the other days during the month. If you like, you can use different color highlighters and highlight work, family, or social goals each differently. The important thing is always having a way to see what your goals are and where you are in your steps to reaching them. – Set your goals for various things. Write them in the time you’ve allotted for each category. Don’t just stop with work and personal goals. You can also set financial goals. To do this, for example you might write: “Spend no more than $10/day for lunch this month at work.” Then each day, you can write down how much you spend. Meeting that goal will not only make you feel good about yourself, it will help you save money. That could be a small goal on the way to a bigger goal to buy a car, put a down payment on a house, take a college class or any number of things you want to save for. You don’t want to put every goal for each individual day’s work. Just write down the important ones. Things you need to do every day, such as take a shower, for example, don’t need to be included. Write down one goal a day, or at least one or two goals a week, that are important to you, and schedule the time to work on them. Setting Yearly Goals Annual goals can often be difficult to keep. After all, how many New Year’s resolutions have you actually stuck with until completion? While they can be difficult sometimes, they can also be a great roadmap for your year in both your professional and personal life. That’s why at the beginning of each new year, you need to set goals. They need to be both specific and realistic. Think of things you’ve dreamed about achieving. Now, pick one of those to focus on for the year. It doesn’t matter if others think it’s crazy, it’s your dream. Once you have your list of your most desirable goals, and envision them happening, you’re ready to begin preparing your annual goals. You want to start by asking yourself which goals, specifically, will move you closer to having the things you dream about. Remember as you prepare your goals, they should be measurable as well. For example, if you want to save $1,000, you’ve put a dollar amount down, so it’s measurable. You can even measure it at any point during the year to see how much you have saved towards that goal. It’s the same with weight loss. You can measure that. Maybe you want a promotion, but there are several things you need to do first. Each step along the way is a measurement. After you have specific, realistic, measurable goals, you want to make sure you set a date you want to reach each goal. There may only be one that you feel will take six months. If so, write down the date you want to complete it. You need to have that target goal so you can push yourself toward it. Be sure not to write too many goals. If you do, it will be easy to lose focus. You probably don’t want to write down more than five. Once you’ve written the goals, you need a plan of action for each one. What steps do you have to take to reach them? If there’s something that will keep you from doing a step, write it down too. Then write a plan to overcome that obstacle. For example, if you want to lose 10 pounds, but you’re a “chocoholic,” not buying chocolate will solve that problem. Write the goals and the target dates on a calendar, either online or off. Now write on your calendar each step you need to take to reach the goal and target dates for those steps as well. You have now set yearly goals. It’s as simple as that. You’ll need to prioritize them so you know which things to focus on first. Set your focus on those things. Keep your eye on the overall goals, but the little things that help you reach that are what you should focus on. Give them a number value Look over your list of goals. Which of them are the most important? Give each goal you’ve set a number value. You can use whichever scale you want. For example, give the most important ones a “1” and the least important, a “10.” Things that are #1 are thought of as the best or the most important in other things, so make your goals the same way. – What goal do I find myself thinking about most often? – Which goal would make me feel the best about myself if I could finish it right now? – Which accomplishments will last me a lifetime. Which ones are the most permanent? Does this matter to me? – Will this goal matter to me five years down the road? – Which of these goals are not dependent on others, but totally in my control? – Do I feel this is urgent and I need to do it right away? – Which goals am I excited about, and which ones do I dread? – Which goals match what is going on in my life right now? Now look at your goals again and narrow them down even more. From your list, select two or three that you would consider to be your top goals. These are your “Priority” goals. These will be the ones you work toward first. A schedule is something that lets you know where you need to be and when you need to be there. It’s as simple as that. Setting your goals on a schedule simply lets you know what you need to work on, when you need to work on it, and when you need it completed. By using a calendar to set your goals on a schedule, you can see where you’re at for each day, week, month, or year at a glance. You’ll know what your goals are for that time period. If you’ve thoroughly worked them out ahead of time, you’ll have what steps you need to take and what you need to do to reach that goal. If you haven’t worked through all your goals ahead of time, it will give you advance warning when you need to prepare for that goal. I know your goals can’t be everything on your schedule. You’re a busy person and you have other things to do that give you a paycheck. That doesn’t mean you can’t take some time to work toward your goal each day. All you have to do is schedule the time to do it. If it’s a work-related goal, schedule the time during your work day. If not, schedule the time during your free time. You’ll want to make sure there are no distractions during this time. Turn off the phone, shut the door, and put out the proverbial “do not disturb” sign. Just let people know you don’t want to be disturbed, and usually they’ll leave you alone unless it’s an emergency. This is YOUR time. It’s time to work on something YOU think is important. You can use it to write in a journal about how your goal is going and the progress you’re making. You might want to come up with a strategy for a goal, or work toward one of your goals. Whatever it is you need to do, work on it during this time. It should be at least an hour of uninterrupted “ME” time! People are always saying, “If I only had the time.” The time is always there. You just have to schedule the time to work on what is important to you. If you don’t schedule the time, it’s for sure no one else will. You’re all organized and ready to go. You’ve made your list of goals, narrowed it down, written them down, prioritized them and scheduled them—now what? The next important thing is staying organized. If you know you’re one who gets off task easily, or someone who has difficulty being motivated to complete tasks, it’s important that you do things that will keep you focused and on task. Update Daily Make it a point to update your to-do list for each step of your goal every day. Write down your progress that day and what you need to do the next day. Working on your goal daily will keep you focused. If you don’t have any task to work on for your goal that day, use it to review your progress and see where you are and if you’re headed in the right direction. Complete Daily If you have a daily goal necessary to complete for your goal each day, you need to be sure to complete it. Working toward something you care about will motivate you and keep you going in the right direction. Check Long-term Goals Take a look at your long-term goals from time to time. Make sure you are where you want to be on them and take a look at what you still have to do in order to reach that goal. Remind yourself of why you’re doing it. Think about what motivates you to complete it. Visualize how great it will be to reach the goal. Think of how good you’re going to feel about yourself when you complete it. Take notes along the way of the progress you keep. You may even want to keep a journal in which you write about your goal. Talk about your struggle to get a goal set, and the problems that arise each step of the way. Tell how you overcome the problems. You can use this as a reference for setting and following through on new goals. Make Necessary Modifications From time to time, you’ll need to modify your long-term goals. Maybe you didn’t get a step completed in a short-term goal that leads to a long-term one. Then you may need to change the next step in your plan. Maybe your life circumstances change and it affects your goal in some way. Maybe it makes you postpone it for a brief period of time. Maybe you complete phases of the goal more quickly than you thought you would and need to move the date up. Whatever the reason, sometimes modifications need to be made. If you need to do so, know that it’s alright. If it hinders the progress of your goal, don’t beat yourself up over it. Remember, things happen. Just keep moving forward and don’t give up on reaching your goal. Reward Yourself Everyone needs to be encouraged from time to time. You not only need rewards for your success in reaching your goals, you deserve it. Set up rewards for yourself that are built into your goal preparation. Make sure they are as specific as your goals. If I do this, I get this. For example, if I lose 10 pounds, I’m going to buy that new dress I love in a smaller size. Wanting that dress will keep you organized and on task. You do it for your children all the time. If you make good grades, I’ll give you…whatever the reward may be. You deserve it too, so don’t feel guilty. Be proud and enjoy the reward. It will help you stay organized for the future progress of your goal. Keep Your Promises to Yourself You prepared the goal, and set up the plan to reach it. You told yourself you were going to do it. You probably take pride in keeping your word to others. You need to do that for yourself as well. If you promise yourself you’re going to do it, then work just as hard to do it for yourself as you would do for others. You made the promise to yourself to achieve that goal—keep it. You are as important as other people you make promises to. Knowing that keeping your promises is important can keep you focused if you think of it that way. Track Your Progress Keep records of your progress throughout the goal seeking process. Having calendars, charts, notes, etc. will give you a visual picture of your progress. Write down where you are in the goal process, and what still needs to be done. Write down what you’re feeling at that time. Looking back at the progress of one goal may help to give you motivation when you’re struggling with another goal. It may also give you ideas for future goals. Create a Support System No matter what your goal is, it will be difficult to reach it if no one is supporting you in it. Have friends or family that can remind you of your goal and encourage you to go on. They can also keep you accountable. Invite them to ask you about your progress if you don’t tell them. Sometimes the act of telling others about a goal can keep you on track. After all, if no one knows about it, they won’t know if you fail. Of course, you don’t want to go out and tell the world about your first goal and fall on your face. If you have a support system, however, they can help you through it. They can encourage you when things aren’t going the way you feel they should be. These are people that care about you. They care about your happiness and well being. They want to see you succeed and will be willing to do what they can to see to it that you do reach your goals. They’ll be there to help you with ideas should you hit a roadblock in your goal. Everyone makes mistakes. How often have you heard that? It’s never been more important to remember than when you’re struggling to reach a goal. Everyone makes them, but they can be prevented. Everyone wants success in reaching their goals. Failure to reach a goal can be heart breaking, but that isn’t the only motivation for not making mistakes when setting goals. 1) Unrealistic Goals This is probably the biggest mistake of all. It’s good to have big goals and dreams, but when it comes to actually setting your goal, you need to make sure it’s within your reach. It might be a huge dream. If it’s something you’re passionate about, go for it. Just break it down into realistic goals. Take it a little at a time. You can’t run the Boston Marathon if you’ve never ran at all. Set goals to build up your stamina and daily training goals to help you achieve the long-term goal of running the race. Eventually, you can reach that big goal by reaching a lot of little ones. Setting the unrealistic goal to start with, however, sets you up for failure. It makes it way too easy to give up. You feel, “I can never do that,” so you stop trying. 2) Miscalculating the Time It Will Take to Complete a Goal When you plan things, they very often take more time than your originally thought. Just ask anyone who is having their house remodeled and the contractor says six months tops to complete it, and a year later, they’re finally finished. Things happen that are out of your control sometimes. Sometimes, for any number of reasons, things just don’t work out the way we plan. Things take longer to complete. When we don’t reach our goals by the target date of completion we set in our plan, it is very easy to give up. It can make you feel like a failure. Not reaching a goal in a specified time doesn’t mean you’re a failure. Knowing that ahead of time can help you calculate a time frame for your goal that’s reasonable. Add a little extra time to your plan to make sure you have plenty of time to complete it. It will prevent you from feeling pressured to complete it. Reaching the goal itself may be difficult enough without the pressure. If you finish earlier, that’s great. You’ll feel extra good about yourself for finishing ahead of the scheduled target date. I’m not saying give yourself a year when it should take six months, but maybe give yourself seven or eight months to be sure. 3) Failing to Appreciate Failures Not being able to reach a goal happens sometimes. Does it hurt…sometimes it does. It’s definitely no fun, after all, no one likes to fail. The problem is that some people accept this failure as a sign that they are a failure. Failure is part of the human experience. Even the world’s biggest optimist can get discouraged when they fail. Not achieving that success you want by failing at a goal can be a difficult thing to handle. An old song says, “You can’t always get what you want,” but it doesn’t mean it doesn’t hurt when you don’t get it. Too often, people tell you, “That’s life.” Why? It doesn’t have to be. You need to look at that failure optimistically and look for ways you can use it to redirect your path and find another way to approach it. – Try a Different Angle—Look at things from a different perspective. If you can’t see one, ask a family member or a good friend to help you. Remember, your feelings are hurt, and it’s easy to want only positive feedback. Don’t just approach your “feel good” friends. Talk to those who will give you an honest opinion. It may be hard not to get upset from what people say, but you need to grin and bear it. Don’t just walk off in a huff, listen to what they have to say so you can determine exactly what went wrong, why it did, and what you can do to fix it. – Move Forward—Always be open to thoughts and perspectives that can get you started moving forward. People are quick to offer their perspective sometimes even when you don’t want it. If that happens, smile, say thank you, and move on. When they are offering suggestions, you may have to look at the problem as if it’s someone else’s problem in order to stand there with a smile, but you can do it. Take out the good suggestions and toss out the bad. Look at what happened, find a way to fix it, and move on. – Reset your Focus—Focus is imperative to reaching your goals. Once you’ve analyzed what went wrong and come up with a way to fix it, switch your focus to the new approach. Reach out and grab the new goal and give it your complete focus. There’s no time to throw a pity party. Once you’ve determined what went wrong and planned another way to go after the goal, you need to forget the past and reset your focus toward the future. Sometimes it may be painful to talk about to someone and you may not feel like you have the power to move on. Look back at a time that was very rewarding for you. Look at a former success to give you strength to move forward with a new focus. With a new focus, a failure might not seem like it’s the end. It can just be a rest area between where you are and what you want. 4) Setting Goals Others Want for Us When it comes to your life, it seems like everyone wants to put their two cents worth in. You should do this, or you should do that…how many times have you heard those words. Probably more times than you can count. It’s not that these people are trying to hurt you, it’s just that they feel they know what’s best for you. Others aren’t living your life, you are! You have to set your goals according to what will make you happy. Sure, there are times your goals will be based on what your boss tells you to do. That’s expected if it’s a work goal. If, however, it’s a personal goal, it’s just that…personal. Too many times children start out life with aspirations to be a doctor or a lawyer just because their parents want them to. If that’s not what you want, be polite about it, but tell them. Set your goal to be and do what you want…within reason, of course. Then, go for it! 5) Failing to Review Progress Always check to see just where you are in the steps to reaching your goal. Document it. Take the time to review your progress. If you’re taking a trip, you check your map or your GPS from time to time to see where you are and how far you have to go. If you never check your progress on your goals, it’s very easy for them to fall by the wayside. Checking them regularly will often let you see that you’re ahead of schedule, and it will give you a reason to celebrate. You may feel like you’re getting nowhere, but when you check your progress, you’ll see you really are. It will also give you a chance to update your goals. Maybe your priorities have become different. Maybe you need to extend your time or alter a sub goal. Goals are like a tree standing by the water. They often bend and alter a bit, but they don’t break. If you have to change something, do it. The important thing is to keep track of your goal until you reach it. Goals provide us with a sense of direction. They let us know what we want as an end result. We just have to figure the plan to get it. Setting goals gives us a chance to look at what we want, learn how to achieve it, and focus on it. We can plan our goals to move in sync with our lives. Everyone needs a little motivation now and then, and knowing you have a goal to reach can give you that. There is no magic trick that can fix life for you. All you can do is live it and work toward having the best life you can. Imagine the life you want, and work at achieving it for yourself. The more you see it, the more you want it. The more you want it, the harder you work toward it. No one should want to meander around through life with no sense of direction. After all, you only get one chance at life. You shouldn’t waste it. Your big goals in life need to be things you are driven to succeed at. You need to want to reach a goal, or there’s no use in setting it. There’s nothing wrong with being passionate about a goal. Sometimes it’s the passion that drives you to achieve it. If you fail at that goal a time or two, however, you need to be able to handle it. Wish yourself better luck next time and begin the next time as soon as possible. I know if you see yourself achieving great things, it can hurt when you don’t reach that goal. It can cause you to be depressed. Depression is one of the biggest illnesses in the world. If you don’t snap out of it and go on with your life, it can do a lot of harm. If you realize it for what it is, however, you can decide that you’re not going to let one failure pull you down. When you fail at a goal, always ask yourself if the goal you fail to reach was a realistic one to start with. If it is a realistic goal, then there’s a way to reach it. Just take another route. Try conquering another small goal while you restructure the big one. Conquering the small one will give you a small confidence boost. It will probably be enough to help you get over the failure temporarily. Now you know how to choose the right goal, how to prepare a plan to reach that goal, how to handle it if you don’t reach the goal, and how to celebrate when you do reach it. You have everything you need to begin a lifetime of success. 1. Worst Case Scenario – At the start of the day, think about the absolute worst thing that could happen. How likely is it that things would get so bad? Probably not very. Remind your self that even if the worst occurs, you have what it takes to overcome any situation, no matter how terrible. 5. Be Inspired Passion – People who don’t care, don’t succeed. Passion is one part emotion and one part commitment. If you have commitment but no passion, your work will be dull. If you have passion, but no commitment, your work will be undirected. But when the two come together and you bring real passion to what you do each day, there can be no stopping you. 6. Create a Motivational Environment – Your workplace needs to inspire you, whether it’s an office, a playing field, or wherever you are going to spend the biggest part of your day. Make it a place that you will want to look forward to going. Make sure it’s always neat, organized and trash- and clutter-free. Personalize your space with family photos that make you smile or a small plant. Include motivational triggers that will remind you of your goals and dreams and inspire you to keep striving to achieve them. 7. Your Word Is Your Bond – Living up to the promises you make, both big and small, is what defines you in the eyes of other people. Always stand by your words and take what you promise other with the utmost seriousness. This will improve your personal and professional reputation and also motivate you to get things done. By locking yourself into living up to your verbal commitments, you can create the inspiration you need to live up to the biggest promises you make to yourself: Achieving your ultimate goals. 8. Share Your Knowledge with Others – When you share what you know with others, you will create a new confidence in yourself, especially when you see other people achieve their goals with your help. When we help other people, it also can create a clarity in your own mind about where your true talents lie and what you are capable of achieving. 9. Nurture Positive Habits – About 80% of the things we do each day are habitual, meaning we do them without thinking about them. Developing good habits and breaking bad habits will allow you to spend more than half your time working toward your goals on auto-pilot. Make a list of the successful habits that you need to develop, then train yourself to start performing them daily until they become second nature. 12. The Power of In-TEN-sity – You can do anything for 10minutes, right? Whenever you are feeling tired, beaten or worn out, or are facing an unpleasant task, commit to working intensely for just another ten minutes. Usually, by the time the ten minutes are up, you will have found a new solution or something else to inspire you to keep going. Pushing yourself to get started can give you the momentum to push past obstacles. 14. Be Grateful – Say “thank you” more often than you do now. People appreciate it when you appreciate them. Being grateful creates humility, and humility leads to grace, which is a fullness of the heart. By practicing gratitude until it become second nature, the list of things in your life that you are grateful for will grow larger each day. Gratitude is also the opposite of complaining. So being positively grateful, you can avoid the negativity of complaining. 17. Clarify Your Thoughts by Giving a Speech – It often helps to work through a problem by pretending to give a speech on the subject. This requires you to frame the problem in a recognizable structure: Outline what the problem is, what’s causing it, what are the possible solutions, and which solution you recommend. Not only will it help you find ways to work through problems, but you will already be prepared whenever somebody asks your opinion on the subject. 18. Make It Easy to See Your Goals – If your goals are hidden under a pile of papers or stuffed into a drawer, it will be harder for you to stay focused on them. Make your targets highly visible: Print up colorful signs or write them on Post-Its and leave them around your workplace, car and home. Set up your Outlook to send you daily reminders to keep you focused. Do whatever you can to keep your goals in the forefront of your attention. 19. Don’t Forget to Relax – Nobody can succeed if they are stressed out and anxious all the time. Take an occasional “breather” by using deep breathing techniques to relax your mind and body. Inhale deeply and slowly through your nose, then exhale slowly through your mouth, pushing all the air out of your lungs. Repeat this three times and the additional oxygen it pushes into your bloodstream will help you relax and achieve mental clarity. 20. Keep Your Gas Tank Full – What happens if you drive around all day without every stopping for gas? In the same way, you eventually will run out of fuel if you don’t give yourself the revitalization you need to keep going. Schedule breaks at regular intervals to have a leisurely cup of tea or coffee, take a brisk walk outside, or call or text a friend to check in on how they are doing. You will return to your work refreshed and reenergized. 21. Optimize Your Working Environment – A great working environment is defined by three things: It’s a place where you can be proud of what you do; It’s a place where you enjoy who you work with; And it’s a place where you trust the people you work for. If any of these three elements are missing from your work, it’s going to be harder for you to achieve your goals and it may be time to consider making a change. 23. Be a Doer Not a Thinker – It’s easy to over think a problem and lose your momentum or inertia. This process, sometimes referred to as “analysis paralysis”, can be dangerous because it can side track you from your objectives. Be a person of action and don’t be afraid to make decisions. Mistakes are going to be made, but you can learn from these mistakes so that you can do a better job next time. The only way not to succeed is to not act. Indecision leads to disaster every time. 26. Rewards Matter – Psychology tells us that humans respond most productively when there is the promise of a reward at the end of a given task. Create rewards for yourself for achieving your short-term objectives. They don’t have to be grand, expensive prizes. Find affordable, healthy rewards that you will appreciate. When you know there is a tangible reward at the end of your day, it’s often enough to keep you going even when you don’t want to. 27. Visualize the Payoff – Visualization exercises help create the proper mindset for success. Take the time to focus on what your life will be like once you achieve your objective. How will you feel? What will other people think about you? Will there be physical, emotional and psychological rewards for reaching your goal? Put yourself in that picture and it can keep you inspired as you work toward achieving your ultimate objective. 29. Use Positive Self-Reinforcement – Have you ever noticed that an employee or co-worker will work harder after they’ve been recognized them for doing a good job with a pat on the back or some sort of public recognition. Use that same type of positive reinforcement to motivate yourself. Recognize when you’ve done something extraordinary and take pride in your work. It will make you more likely to work even harder next time. 30. Acknowledge Negative Feelings, But Don’t Hold On to Them – It’s not healthy to suppress negative thoughts or let bad feeling bottle up inside you. When you are having negative thoughts or feelings, it’s okay to acknowledge them. But it’s also necessary to release them. You will accept a negative feeling if you ignore it or keep eating away at you. Recognize them for what they are, give yourself a few minutes to let the yourself experience them, then moveon. 31. Use Checklists – Checklists are useful in keeping yourself on task and not skipping or missing any steps. Before you begin a task, break it down into a series of steps and then use those steps as the basis for your checklist. As you move through the task, put a checkmark next to the steps you’ve accomplished and move on to the next task on your list. This will help you move through the job smoothly and efficiently. 33. Clarify Your True Desires – What is it you truly want? Clarifying your real objectives makes it easier for you to achieve them because you don’t waste time chasing secondary or tertiary objectives. If you aren’t sure what you want, answer this question:“If you never had to worry about earning money for the rest of your life, what would you do with your life?” The answer is your true desire. 34. Create Energy Flow in Your Body – You can’t have mental, emotional and physical energy if you are sedentary all the time. Make it a point to stand up and move around frequently. Keep your heart pumping, your muscles loose and your mind sharp by standing, stretching, walking and moving. It’s the best way to keep energized, even better than a cup of coffee or a power drink. Plus, it will help you sleep better at night. 35. Surround Yourself With People Who Share Your Passions – Enthusiasm is contagious, so when you are around people who are passionate about the same things you are, it’s easier to remain motivated toward achieving your goals. Don’t waste time with sayers or negative people. Seek out friends, co-workers and acquaintances who share your goals and interests and who will be supportive of your efforts to achieve them. 36. Seek Out the Answers to Secrets – Success leaves clues. Follow those clues to learn the secrets successful people have used to stay motivated. Ask questions. Seek out advice. In most cases, successful people will be more than happy to share what they know with you and are generous with their wisdom. 37. Procrastination Is Your Enemy – In the ground breaking motivational guide “Success through a Positive Mental Attitude”, Napoleon Hill famously interjected “Do it now!” as a rallying cry for successful people. Never delay or procrastinate or your opportunities may be lost. Your time is the one thing you can never get back. Treat your time like it’s a valuable commodity. 38. “Don’t Worry, Be Happy” – Obnoxious as it may have been, that song from the 1980s carried a powerful message. Happiness is something you choose , not something that happens to you. When you are enjoying your life and your work, you will approach challenges with vigor rather than with dread. You will be energized to succeed, and all it takes is making up your mind to be happy. 40. Focus on Positivity and Tune Out Negativity – It’s always easier to find excuses or reasons something won’t work, but that kind of thinking never created anything great. It’s okay to acknowledge flaws, but don’t let them be your sole focus. Instead, keep a positive attitude and truly believe that you can overcome any obstacle, achieve anything you truly desire, and become the person you were meant to be. 42. Prepare Yourself for the Day that Lies Ahead of You – Rather than diving into the deep end, ease yourself into your day by thinking about what lies ahead, analyzing the challenges you can face, and visualizing how you can succeed. In the same way that stretching helps prevent injuries when exercising, preparing mentally for your workday can increase your productivity, prevent you from being stressed, and ultimately help you progress toward your goals. 45. Treat Every Day as if It’s Your First Day – Remember the enthusiasm and curiosity you brought to the first day of school or the first day of a new job? Sustain that type of interest and ambition everyday and you will continually strive to succeed and impress other people. This is especially helpful when you are facing an unpleasant task. Act as if you are auditioning for your current position and you will find that you will be giving it your best effort. 46. View Mistakes as “Teaching Moments” – Everybody makes mistakes. But not everybody learns from them. When you mess up, think about what you did wrong and promise yourself that you will do better next time. Set a time limit for analyzing your mistake – a few minutes or so – then move on and never dwell on it again. 48. Be Organized In Everything You Do – Organization makes your life easier. Disorder causes distraction and delay. Why do you think the military is so compulsive about organization? Your workspace, schedule, activities and everything else in your life needs to be as organized as possible so you can stay on task without losing momentum and commitment. Clarity and orderliness lets your mind focus on more important issues because you don’t have to worry about the small stuff. 54. Calculate Your “Hours of Power” – Different people are more energized at certain times of the day than others. For example, there are “morning people” and “night people”. Keep track of your energy level every hour for a week, writing down on a notepad how energized you are on a scale of 1 to 10. At the end of the week, look for patterns where your energy was the highest each day. Those are the “hours of power” when you can be most productive at working toward your goals. 56. Change the Scenery Occasionally – Getting away for a while is a great way to recharge your batteries and get you ready to be more energized so you can keep fighting for what you want when you return. Plan a trip someplace you have never been before and soak in the scenery. Take a relaxing vacation from your worries and ambitions, even if it’s just for a day or even a few hours. You will return refreshed, rested and stronger than ever before. 57. Be an Example for Others – Provide positive support for the people around you and life your life as if you are in a fishbowl and somebody is always watching you. This will prevent you from making stupid mistakes and experiencing unnecessary setbacks. It will also inspire other people to be more like you, which is rewarding on its own. 67. Embrace Change – The only thing we now for certain is that nothing is for certain. When change happens, don’t resist it. Instead,embrace it as the next chapter in your life. As long as you are motivated to achieve your success, change can never set you back very far. And it often offers opportunity. 69. Ask for Help When You Need It – No man is an island.Everybody occasionally needs the help of other people in order to succeed. Don’t be too proud to ask others for help. That’s what your support system is there for in the first place. 70. It’s Not Always All About You – Everybody’s life has its ups and downs. Going it alone won’t make it any easier. Let other people into your life so you can celebrate your successes and make your failure s more endurable. Nobody is an island. Your life touches many other people. Be aware of this and let it help make your journey easier.In this guide, we have provided 70 tips designed to motivate you to never give up on your dreams and ambitions. But the truth is that nobody can motivate anybody to do anything. The only thing a person can do is offer them the inspiration and incentive they need to motivate themselves. ● Not indulging in self-limiting thinking. As I’ve stated repeatedly, mistakes are going to happen. You can prepare as much as possible, but the unexpected will always occur sooner or later. Successful people don’t let setbacks and obstacles stop them from moving toward their ultimate objectives. Instead, they continually commit themselves to happiness and positive thinking, no matter what happens. By keeping your eye on the prize and daring to dream big, you can achieve anything you want in life. Your next step to a great middle age is creating Morning Rituals, so why not go there now? See you there!